Bedford-Stuyvesant and Flatbush are in Brooklyn. 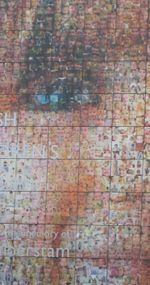 In addition to the two aforementioned neighborhoods, this travel guide covers Crown Heights, Lefferts Gardens, Brownsville, East Flatbush, and Midwood. 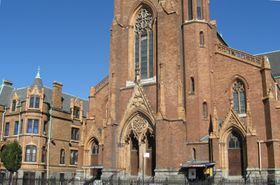 Bedford-Stuyvesant is a major African-American neighborhood with some African presence. It is the second largest African-American neighborhood in the country after the city of Detroit. Bed-Stuy, as it is called by most New Yorkers, has been gentrifying lately. However violent crime is a still a concern along with the other social problems in the community. Flatbush was formerly a Jewish, Italian, and Irish neighborhood, and before that settled by members of the Dutch Reformed Church. 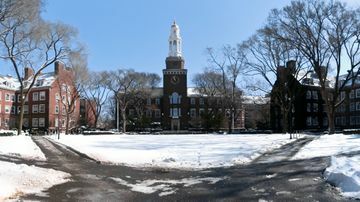 It is now a largely West-Indian neighborhood, and is the home of Brooklyn College, one of the most beautiful campuses in the area. In the very center is the 18th Century Dutch Reformed Church at the corner of Flatbush and Church Avenues, and its original school house dating to 1787 and originally called Erasmus Hall. 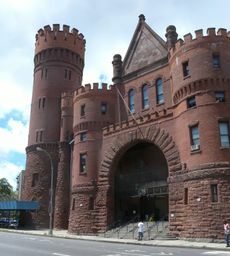 Now it is the administration building of the public Erasmus Hall High School, its own building over 100 years old. The neighborhood's eponymous commercial main street, Flatbush Avenue, goes from the Manhattan Bridge on the north to the Gil Hodges Marine Parkway Bridge leading to the Rockaway Peninsula section of Queens on the south. 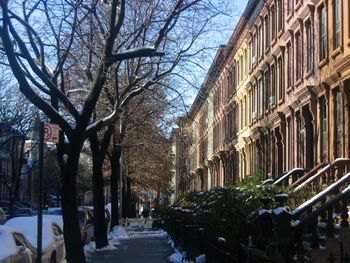 Lefferts Gardens, formerly part of the greater Flatbush neighborhood, is a primarily Caribbean neighborhood with some of the best Trinidadian and Barbadian restaurants in the city. The geographical center of the neighborhood is a relatively quiet limestone and brownstone historic district which is the former site of the Lefferts homestead. The neighborhood's proximity to Prospect Park and easy commute to Manhattan (20 minutes) have made it a recent target for development, including a luxury high rise, condos, new cafes and restaurants. Brownsville is another mainly African-American neighborhood. It is just to the west of East New York, and like East New York, it remains among the more dangerous neighborhoods in New York, though crime statistics have declined in recent years, and does not merit a visit from most tourists. Beware passing through here on your way to JFK Airport if you take the B15 bus. The 2, 3, 4, and 5 (Rush hours only) all go to Franklin Avenue and then split. the 2 and 5 go down Nostrand Avenue into Flatbush, while the 3 and 4 continue into Bedford-Stuyvesant and Crown Heights. It's also possible to get to the southern areas of Bed-Stuy by taking the A or the C and the northern areas by taking the G.
The B and Q also stop in this district near Prospect Park and continue through Midwood to the south. Finally, the Franklin Avenue Shuttle (marked S) connects these lines to each other, making this a good place to change between these subways. The Long Island Railroad's Atlantic Branch has a single stop in Bed-Stuy: Nostrand Avenue. Trains that stop here are either headed to or originate from Atlantic Terminal. The BM1, 2, 3, and 4 express buses all pass through here. If you are interested in local jazz events in and around Bed-Stuy, a lot of them are held in community centers, churches, etc., so you'll have to look them up. The place to look is the Central Brooklyn Jazz Consortium , whose mission and success is to ensure that jazz has a home and future in central Brooklyn. In addition to the following, check the restaurants above to find more jazz venues in the area. Compared to the 1980s and 1990s, Bedford-Stuyvesant and Flatbush aren't as dangerous as they used to be. Since the late 1990s, the area has been gentrified and is more patrolled by the NYPD. Of course, when going anywhere, be careful of your surroundings. The neighborhood has its fair share of odd people, and may be more dangerous at night. This page was last edited on 26 July 2016, at 19:20.